Cometh the hour, cometh the man! 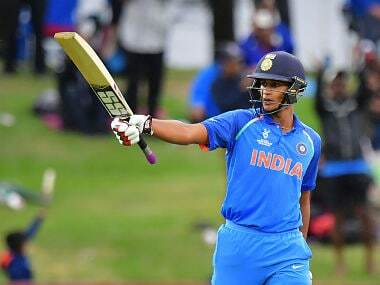 Delhi’s impressive Under-19 opening batsman, Manjot Kalra, made cricket fans sit up and take note as he emerged as the man India were waiting for to take them past the post in the final of the ICC Under-19 World Cup on Saturday. He batted like a champion right through the historic innings and did not take his foot off the pedal till the team was home and dry. Kalra’s brilliant unbeaten century was timely; it made light of the loss of two big guns, captain Prithvi Shaw and the consistent Shubman Gill to help India successfully chase down Australia’s challenging target of 217. The fact that this knock and win came on foreign shores made Kalra’s essay all the more commendable. Thanks to the terrific knock, which came under extreme pressure, India eked out an emphatic eight-wicket win to be crowned World Under-19 champions for an unparalleled fourth time. Much of the focus at the start of the tournament in New Zealand was on Shaw. The lad had done well for Mumbai in his debut season in Ranji Trophy and hence a lot was expected of him in the world stage. Shaw did relatively well, but the show-stealers were undoubtedly Gill and Kalra. The beauty of Kalra’s batting, apart from his impressive, match-winning 101 not-out (102 balls, 8x4,3x6), was his terrific situational grasp and execution. The left-hander played to the need of the moment and was quick to seize the initiative and push back the bowling at opportune times. For instance, he did not allow leg-spinner Lloyd Pope to settle down. 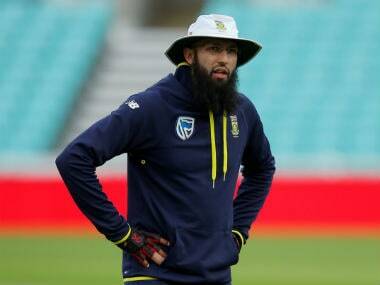 He slammed a length ball for a huge six over wide long on and ensured that the leg-spinner was taken off the attack after a mere two overs. 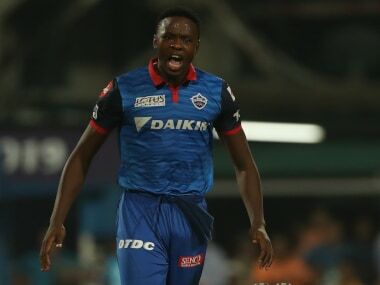 One Delhi cricket aficionado said Kalra’s mindset was conditioned by the lack of league or inter-school competition structure that better organised associations of Mumbai, Tamil Nadu or Karnataka boasted of. Another cricketer who had played lots of tournaments in Delhi pointed out that the capital’s cricket was not about the game only. “You need a certain kind of aggression both on and off the field. If you are quiet or withdrawn you’ll be sidelined in the nets, playing eleven and in matches. You need this sort of edge off the field too, and this can be seen in their major success stories, Virat Kohli, Gautam Gambhir and others. Maybe a part of that was thrust on him. Kalra had represented Delhi in BCCI’s Under-16 tournaments but when he appeared for the Delhi Under-19 team there were complaints about him being over-age. This was the period when Delhi & District Cricket Association (DDCA) was being pilloried for all sorts of things and some made a name just by attacking the association. One former Test cricketer filed a police case alleging that Kalra was over age. The batsman submitted his CBSE class X certificate, copy of passport, pan card all of which corroborated that his date of birth was 15 January, 1999. But with disgruntled parents and a couple of anti-establishment former cricketers kicking up a row, DDCA was forced to send the boy to BCCI’s medical age-verification test. Needless to add he came through unscathed. This approach by disgruntled elements in Delhi was a bit of a puzzle. Even if he was over age, that ought to have been tackled at the Under-16 level where genuine under-age boys need to be protected from stronger and more powerful lads. However, by the time a cricketer is 17 or 18 he ought to be ready to play with men. The better youngsters improve by leaps and bounds when they compete with or against men. In any case, all this controversy did not affect the lad. It made him tougher. He slammed 742 runs in nine Cooch-Behar Trophy matches and made it to the Indian Under-19 squad on their tour of England in 2017. Against them, in a Test, he made a century batting at number four. This ensured his berth in the squad for the World Cup. In the opening match, also against Australia, he made a cracking 86 and shared in a 180-run stand with Shaw. That partnership improved on the record 179-run opening stand between Shikhar Dhawan and Robin Uthappa way back in 2004. Another notable innings was the one against the impressive pace attack of Pakistan. Kalra made 47 as he and Shaw (41) added 89 for the opening wicket. The best aspect of the youngster’s batting is that he plays close to the body and likes to work the ball to the leg. This will stand him in good stead in conventional cricket too where the new, red ball does a bit in the air and off the pitch. However, the question India’s cricket followers would be keen to know is: Will Kalra be the latest in the line of excellent opening batsmen the capital has given Indian cricket? Leave aside Chetan Chauhan, Raman Lamba or even Manoj Prabhakar. The more recent ones, Virender Sehwag, Gambhir and Dhawan have enriched the performance of the national team. Would Kalra be Delhi’s next opening batsman to adorn Indian cricket’s ranks? He has the ability and the performance to match it. He just needs to be thrown into the deep end to find out if he has it in him to swim with the big fish. That might happen sooner than expected.